Talk to any leading Expert Author and you will find a plan (big or small) at the center of their success. If you want to succeed and ultimately get more out of your return on time investment, establishing a plan will help you achieve your article writing goals as well as any goal you wish to achieve. In any plan – content plans, strategic plans, etc. – you must first define your backstory via a mission and a vision. Once you’ve established these focal points, you can begin to establish your brand identity. Your brand identity is made up of the visual characteristics unique to you and your organization – on the Internet, that’s everything. One of the keys to developing an identity that resonates with your audience is to identify your core values. Core values are the attitudes or beliefs of your organization. These values are not a result of the activities you perform. Instead, the activities are a result of your core values. To define your values, consider the most basic elements of your organization’s principles and beliefs. Examples of core values are maintaining a healthy work/life balance, a commitment to sustainability, and being resourceful. Use these values, along with your mission and vision to align members of your organization as well as guide activities (i.e., “this activity” reflects “this value,” “this product” reflects “this value,” “this article” reflects “this value”). 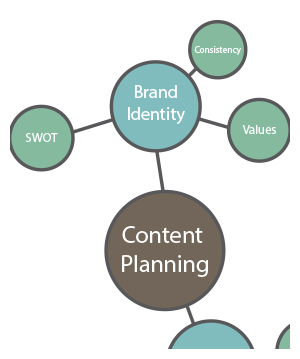 Is your Expert Author brand identity consistent? Author Name – Your name must be consistent between your website and your articles. In addition, ensure your name can easily be found on your website for added transparency and brand exposure. Relevance – Avoid writing articles that are irrelevant to your niche. All content in your article portfolio should reinforce your brand, not weaken it with subjects irrelevant to your audience. Save personal commentaries and other content of that ilk for a personal blog. Resource Box – Your Resource Box should succinctly include your name, your vision, a call-to-action, and a link to a relevant page on your website. 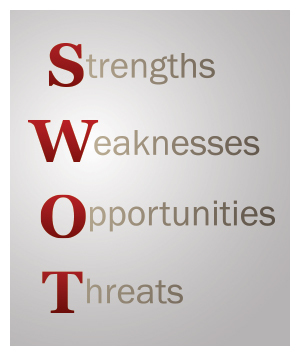 What are your strengths, weaknesses, opportunities, and threats (SWOT)? Strengths – Assets and characteristics that give you and your organization an advantage. Weaknesses – Assets and characteristics that limit you and your organization. Opportunities – Outside prospects you can use to improve. Threats – Outside elements that prevent growth or cause harm. Once identified, use this information to realign your goals and build the framework of a seamless content strategy that targets readers. Building a foundation is critical to any successful venture that will resonate with readers. Identify who you are, what you represent, what you value, and be consistent. From there you can identify where you stand and how you can plan to improve. We’ll show you more content planning strategies on audience targeting, evaluating, and more in the next few weeks, so stay tuned! Did you miss our first content planning post on developing a mission and a vision? Click here! Branding is very important, and those who fail to plan, are planning to fail at their brand. Great Post! I know the value of having a plan, and creating a brand in the marketplace. Ever since i started writing out my plans and goals for the week, after 90 days i became an Ebay Powerseller and a Top Rated Seller. With this kind of recognition behind my name, my sales increased dramatically due to the brand of “powerseller” and “top rated seller”. I completely agree with the point that one must submit articles related to his/her niche. Most of the people just randomly submit articles and then penalized by Google. Absolutely great advice. Well thought out and communicated. Thank you. Having been a facilitator for Strategic Planning, I can tell you that SWOT is a very motivating experience. Planning concerns every aspect of human life and development. As such, in article writing, enough of it needs be applied every now and then. Now, I need great help, concerning website, that I’m yet to have. Kindly assist me to obtain one or how do I go about having one, because from the look of things, one needs it greatly.